Hi, I’m Debra Prinzing and welcome to the SLOW FLOWERS JOURNAL. I believe what distinguishes each of us is a personal story, the unique alchemy of who we are, where we’ve come from, what moves and inspires us, our past-present-and-future dreams and how we express our character through creativity. I’ve been a storyteller for many decades and it is my natural curiosity and affection for my subjects that make my narratives sing with intent and honesty. Here, in the SLOW FLOWERS JOURNAL, I have gathered beautiful and compelling stories to share with you. The topics and subjects we feature are your portal to the world of flower farming, floral design and the Slow Flowers Movement. We strive to connect flower lovers (couples, hosts and hostesses, gardeners and anyone seeking beauty in their lives) with the producers and artists who supply those blooms. We value local, seasonal and sustainable flowers above all else and we work tirelessly as an advocate for American grown flowers (and, for our fellow floristas in Canada, for their consumers to support Canadian-grown botanicals). As an online magazine, the SLOW FLOWERS JOURNAL delivers news, features, profiles, Q&As, opinion pieces and lots of gorgeous photography tailored to you. By producing dense, substantial, well-reported and well-written editorial pieces, I believe this content will change your attitudes and further engage you in the world of domestic and local flowers. Inquire: Driven by curiosity, we are truth-seekers. We believe asking questions and listening carefully with all our emotions will lead to understanding and insights about the journeys, choices and actions of our subjects. Inform: In the time-honored tradition of professional journalism, we bring the best writing and editing to you. Our prose is spelled correctly. We use the AP Stylebook. We produce clear and comprehensive content about diverse topics, with the goal of better informing and educating readers. Include: We are community-minded. This publication is designed to connect you with the leading personalities and change-agents, as well as new and emerging voices in the Slow Flowers Movement. Everyone’s story is valid and valued and we seek to be inclusive in the content we gather and present, providing a forum for dialogue and engagement. Instigate: Dissatisfied with the status quo, we are disruptors who want to change the broken model of how flowers are delivered from the farm to the consumer. Speaking out, questioning, challenging and advocating on behalf of farms, the environment and local economies are important actions taken in our quest for transparency. 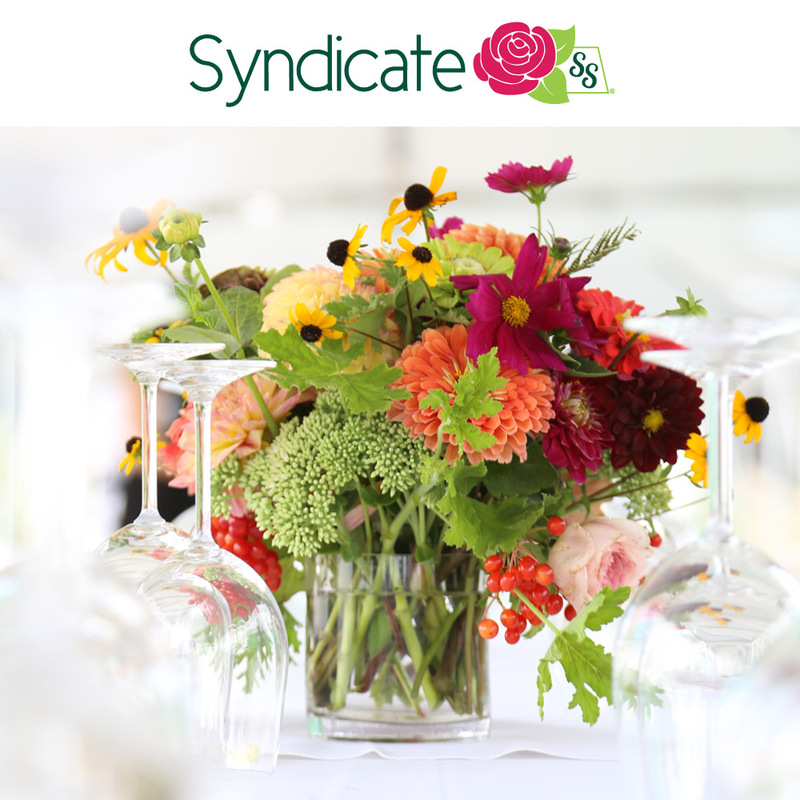 Inspire: By presenting new ideas, fresh insights, industry forecasts and cultural shifts in flower farming and floral design, we want to surprise you every day. Whether you’re embarking on a new path or deepening your understanding of your own place in the universe, our site is tailored to you! Slow Flowers Journal launches with an upbeat selection of articles from local flower growers from around the country. If you want to keep on top of what’s happening in the local fresh flower world, there’s no better place to check it out than here! Submissions now being accepted for the next issue. Show us your best stuff!